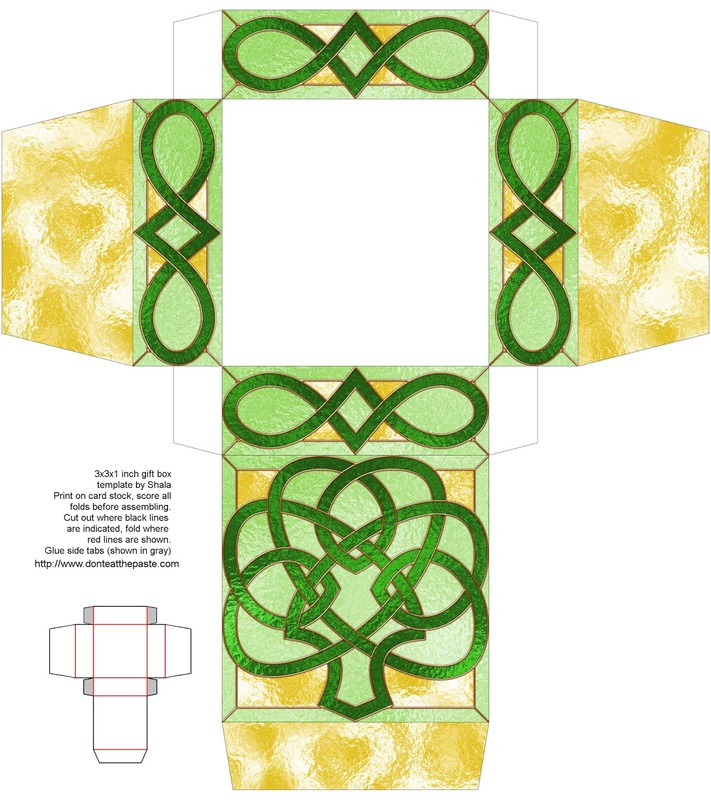 Don't Eat the Paste: Shamrock Stained Glass Printable Box- with a blank version to color! 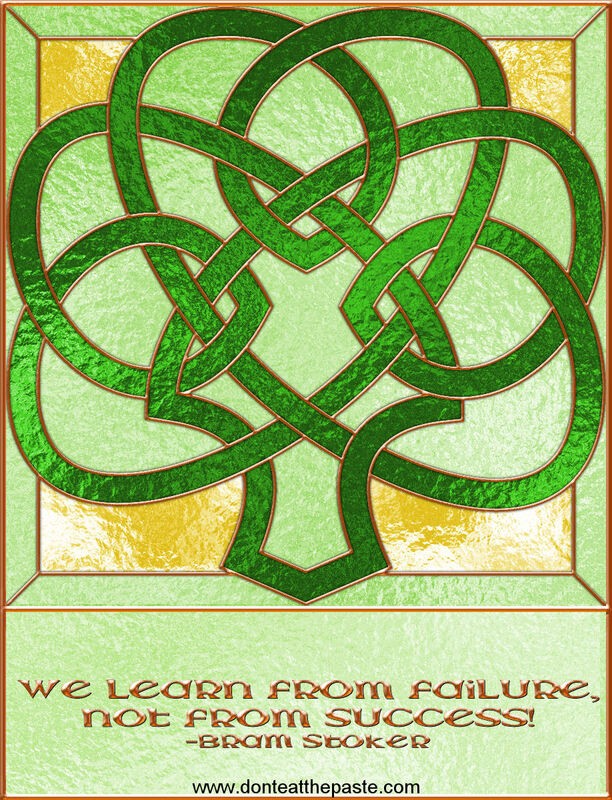 Shamrock Stained Glass Printable Box- with a blank version to color! I'm trying to increase the shares on my Facebook page, and decided to do it by adding quotes to some of the thumbnails for printables. The quote above was from Irish author Bram Stoker. 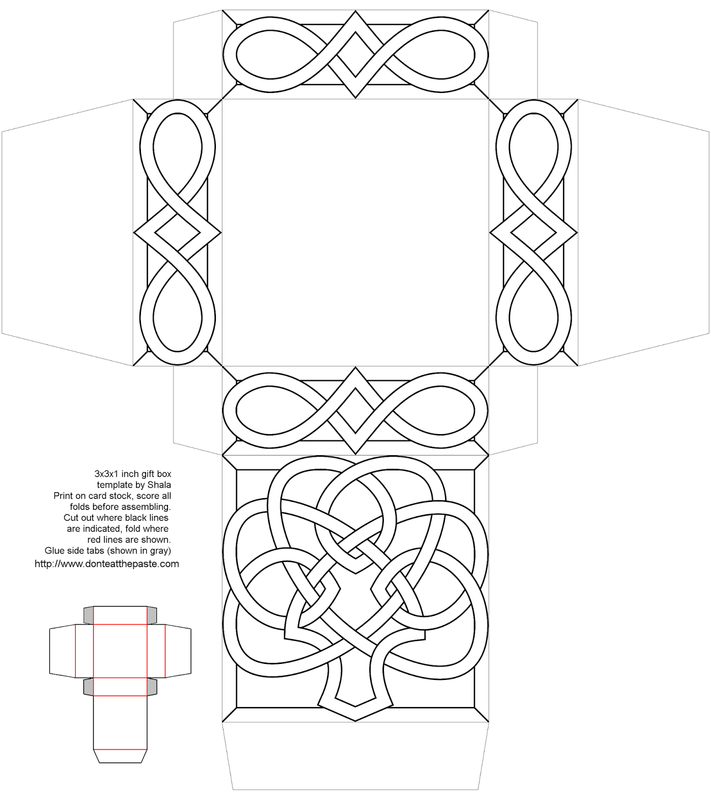 This knotwork shamrock box is available in both faux stained glass full color ready to print and make and a black and white version that you can color yourself. Click images for larger version, print on card stock, cut out, score folds, fold, glue!